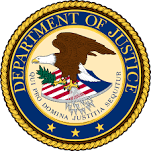 BOSTON – A Sturbridge woman was charged in federal court in Worcester today in connection with receiving government funds for a disabled child who was no longer in her custody. Tanya Chobot, 31, was charged with one count of government theft and one count of making a false statement to the Social Security Administration. She will appear in federal court in Worcester later today. According to the charging documents, Chobot accepted more than $23,000 in Social Security disability payments on behalf of her biological child, but did not have custody or provide care to the child. On multiple occasions between 2011 and 2017, Chobot made materially false and fraudulent statements to Social Security to facilitate her continued receipt of the funds. For example, in October 2013, Chobot submitted a report to Social Security that falsely indicated that the child lived with her and that she had used money from Social Security for the support of the child. Chobot did not in fact use the Social Security payments made on behalf of the child for that child’s benefit. The charge of theft of government funds provides for a sentence of no greater than 10 years in prison and the charge of making a false statement provides for a sentence of no greater than five years in prison. Each charge provides for up to three years of supervised release and a fine of $250,000. Sentences are imposed by a federal district court judge based on the U.S. Sentencing Guidelines and other statutory factors. United States Attorney Andrew E. Lelling and Scott Antolik, Special Agent in Charge of the Social Security Administration, Office of Inspector General, Office of Investigations, Boston Field Division, made the announcement today. Assistant U.S. Attorney Bill Abely of Lelling’s Worcester Branch Office is prosecuting the case.